The story: After 25 years in a Malaysian prison, an ageing gang leader Kabali (Rajinikanth) is released and takes revenge on a rival gang helmed by Tony Lee (Winston Chao), the man who had framed him and taken his family away from him. While an entire generation would associate superstar Rajinikanth with memes - the infallible man who lights cigarettes with a gun and handles cobras with his bare hands - Kabali is the first of his films in a long time that shows off the superstar as a proper actor. He plays the everyman who rises from the masses, a Malaysian Tamil plantation worker Kabaleeshwaran, who is sick of the way his people are treated like second-class citizens. He becomes the protege of a good gangster Tamilnesan (Nassar) who eschews drugs and prostitution, rising through the ranks, much to the ire of a rival group helmed by Lee. Kabali is then framed in a massacre in which he sees his pregnant wife Kumudhavalli (Radhika Apte) die and is put in prison under false charges. After his release, Kabali, the ageing don with a good heart and a magnificent grey beard, returns to battle Lee, who is now a drug lord. While it certainly has elements of a Rajini blockbuster, the film is, for once, a very grounded in realism. 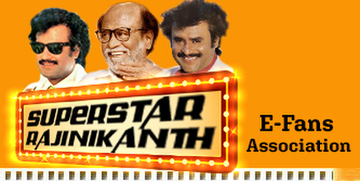 For one, Rajini is finally playing a man his own age (65). And the almost unimaginable happens - he is shot at, and he bleeds. This might test the rabid Rajini fans who think of him as indestructible, but it is refreshing to see him playing a character exhibiting weakness. Melodrama is toned down too in favour of an unexpectedly powerful love story between Kabali and Apte's Kumudhavalli in the flashbacks. She holds her own against the superstar, tempering his larger-than-life screen presence with an assured grace, even bossing him around as the doting wife. Uncharacteristically for a Rajini film, there are no slick choreographed routines or elaborate dance productions, save for a blink and you miss it dance that he busts out during a Tamil hip hop number in a celebratory scene at a school Kabali runs for children on the wrong side of the tracks. But of course, the film-makers cannot resist some fan service. There are the trademark catchphrases, killer monologues delivered with machine gun rapidity and even multiple slow motion shots of the actor descending the stairs in slick three-piece suits. Helmed by director Pa. Ranjith, who was also behind 2014 political drama Madras, the film takes a stab at addressing social issues. Throughout the film, Kabali addresses caste and class and the rights of Tamil migrants in Malaysia. In an impassioned exchange with a colonial plantation owner, Kabali demands for equal pay saying: "We are no longer just slaves on plantations. We are employees, and you are the employer." The supporting cast is inexplicably large, with almost 20 characters, and at times, it is hard to keep track of them all. Chao as Lee, however, is the least believable as a caricature of a supposedly Malaysian Chinese gang leader in gaudy silk suits, exaggeratedly laying down maxims. His gangster persona never quite equals that of his arch nemesis. Pacing is also a problem, and entire scenes in the action-packed climax felt laborious and too drawn out after a while. Die-hard Rajini fans would be pushed to their limits of tolerance with this particular portrayal of the hero as a fallible character. But this is undoubtedly his best film in years.